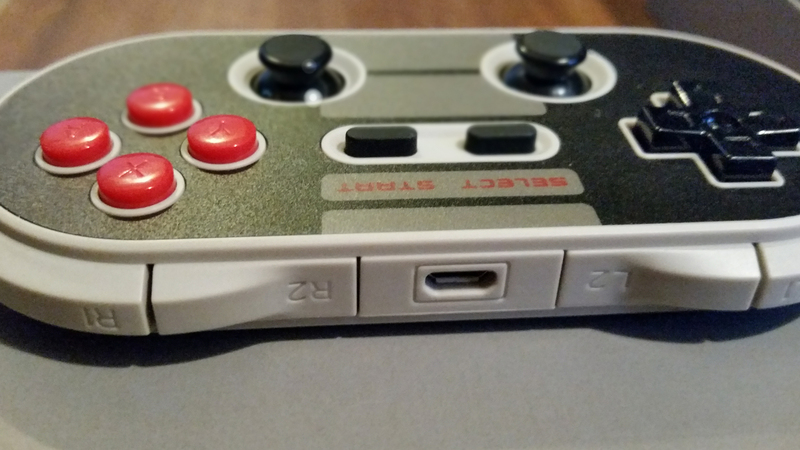 We recently obtained two NES30 Pro controllers from a company called 8bitdo. Since I heard many good things about their other controllers, the NES30 and the SNES30, I thought that I’d check out the NES30 Pro since it contains all the features of the others. Man was I in for some grief. Whats in the package? You may ask. Well I’ll tell you. This thing looks and feels great. They definitely nailed that NES controller design. 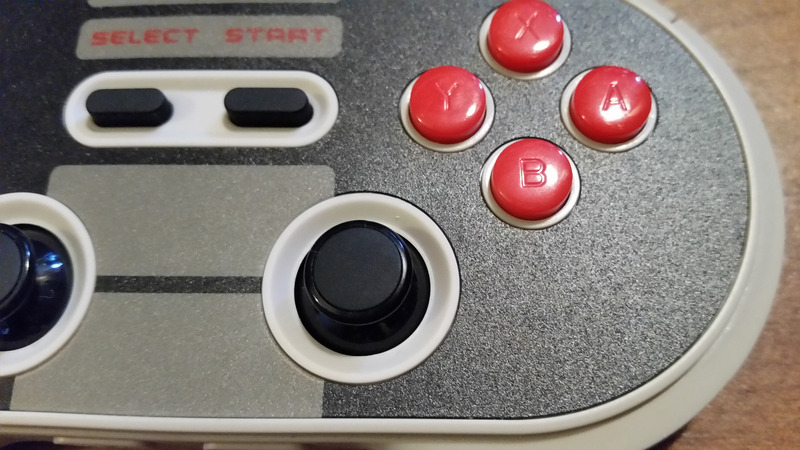 The face buttons are spot on to the original NES controller being not too stiff. The shoulder buttons have a nice click to them, there are four and they are placed right next to each other and are surprisingly comfortable to use. 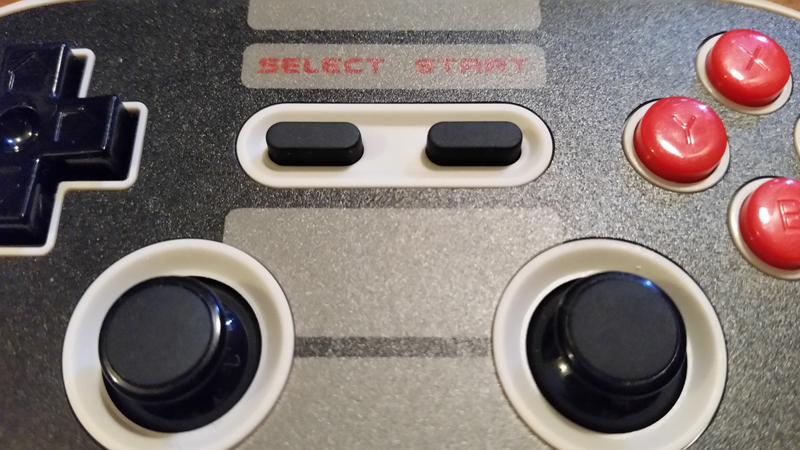 The Start and Select buttons feel great to press on with there soft rubber quality. The D-pad and sticks are the biggest downside. The D-pad is a bit stiff for my liking comparing it to my NES controller and it’s not quite as comfortable. There is also a loud “clacking” noise when pressing the center of the d-pad down which happens more often then you think. The joysticks are stiff and they don’t move all that well with a sort of a grinding feel when moving them around. They don’t move all the way to the edges of there respective slots. However, pushing the joystick buttons themselves feels good enough. On the bottom of the controller are the sync and power buttons represented by two symbols. The power button is obvious. It turns the controller on and off and also functions as a sync for certain devices but I’ll get into that later. The other button is the sync button, which isn’t used all that much. They both function as advertised. There is a micro USB port at the top of the controller and it comes with a USB cable that is generously long and works pretty well. Hooking the USB up to any available port on computer or USB charger will allow it to charge. Lastly, there is a CPU inside this controller that allows it to eliminate lag and you can even upgrade the firmware. Downloading the firmware and upgrading was mostly painless. Visit the NES30 website and navigate to the downloads section. Once you find the right firmware you will also need a program to install it. You then connect the USB to your controller and run the program. It’s pretty straightforward. Both controllers feel the same way here I didn’t notice any difference between the two. The NES30 Pro controller is clearly designed for mobile devices. 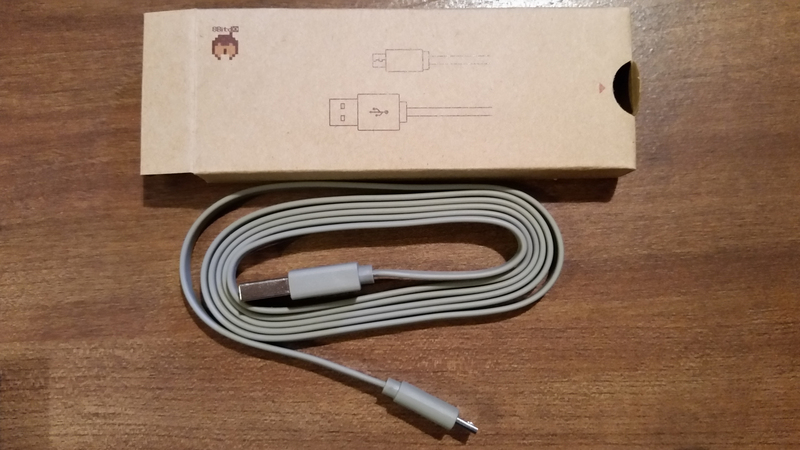 It can be connected via bluetooth or an OTG (“On The Go” cable). Once connected you can perform basic tasks on the OS moving a selection box and opening applications. To test it, I connected the controller via bluetooth to my Samsung Galaxy S5 and played Sonic the Hedgehog 2. The controls felt great and I had no real problems… for a bit. It wasn’t long before I noticed strange button lag that would come and go. Sometimes Sonic would jump right on cue and other times I noticed a full second of lag before he would move but when it did work, it worked great. I was breezing through stages at one point and fumbling around and falling down pits the next. Using the second controller was a much better experience. There was still slight lag but that could have been just my phone. I was moving around much more comfortably then before. The next thing I tried was Super Mario 64 via emulation. The first problem I ran into was the dead-zone. Mario would tip-toe after pressing up on the joystick. I tried adjusting this in the emulator settings but there was no option for it. There was some slight lag but it may be due to the emulator. However, the lag increased over time the more I played. I tried the second controller and did not have the same issue. There is still some lag but I still believe that is due to the emulator. Mario didn’t tip-toe either. Needless to say this controller has some issues. At least when connected to a Samsung Galaxy S5. My next test was PC games. I decided to try out Borderlands and Portal 2 since many recent first-person shooters use most, if not all, the buttons on a controller. 8bitdo has stated that the NES30 Pro would be recognized as a 360 controller. Portal 2 did in fact recognize it as a 360 controller but when playing the game the controls were all kinds of messed up. The orange portal was mapped to left and right of the right joystick and the blue portal wasn’t mapped to anything. I tried all sorts of buttons and could barely manage to move with only “forward” and “back” being mapped correctly. I quit out of that mess and decided to give Borderlands a go. Everything seemed to be mapped correctly. I could shoot, jump, and look around. But “forward” and “back” were reversed so pressing “up” on the left joystick would cause my character to move backwards. This could be something that I could adjust to but seeing as I have a proper controller for my PC that maps perfectly, I wasn’t going to bother with it. I played around with Mario 64 on my tablet PC as well since I don’t have Bluetooth on my main PC. I first did a wired connection, and it was seemingly okay at first. Like on the Android emulator, Mario would tip-toe forward. The emulator I used this time had an adjustment for dead-zone but that didn’t solve the problem. So I stuck with it and noticed a very slight but noticeable input lag. This was so very minute that it’s barely worth mentioning. Aside from the weird tip-toeing everything seemed okay. I tried with the second controller and Mario walked normally. Using Mario 64 as my test subject again, I went wireless and connected the controller via Bluetooth. Now it could be my imagination but I swear there is no button lag at all. The one controller still had Mario tip-toeing but both controllers felt perfect to use. I was jumping, running, and ground pounding in style with no issues whatsoever. The last thing I tried on PC was Super Mario World. The controller was connected via USB but jumping and moving felt strange. The controller didn’t seem like it was connected well and was kind of disconnecting and reconnecting. Despite that I got to Bowser through the shortcuts and beat the game. I tried using the controller via wireless on my tablet using the same emulator and it felt much better. I’m not sure what magic they used but playing it wireless is preferred to playing it wired, which is something I couldn’t say about any other controller. The NES30 Pro controller seems to work great for emulation and not so great for actual PC games. The NES30 Pro has an almost hidden function and that is to emulate a Wii remote on the Wii and Wii U. It’s not advertised heavily and I’m guessing this is due to the fact that it’s poorly implemented. I decided to connect it to the Wii U. It requires you to turn it on while holding the “Y” button. Once connected it works just like a Wii remote minus the IR sensor. When using it like this the shoulder buttons and joysticks do nothing and the face buttons are mapped to “A”, “B”, “1”, and “2” with “start” and “select” acting as “plus” and “minus”. The first game I tested on Wii U was Super Mario Bros. 3. The game played well and I didn’t notice any significant lag. There was times that it felt like it was disconnecting and reconnecting continuously with Mario losing momentum. Pretty sub-par and probably wont use this to play in the future. The next game I tested was Super Smash Bros. for Wii U which supports the Wii remote alone for those friends that you don’t really care for. So I gave it a shot and one thing I noticed was the hand cursor on the character select screen was “jittery”. I had thought at this point to customize the controls, with the face buttons taking over for the “A” and “B” buttons. Once I felt comfortable enough with them I tried match against a low level CPU. I managed to survive the fight but could feel the controller having issues staying connected. As I mentioned, the Wii compatibility wasn’t advertised much on the site though it is mentioned in the manual. From my experience I’d suggest getting a classic or pro controller for Wii U for a much better experience. Between the two controllers it seems like it was a hit and miss. One controller played well and the other had some issues. 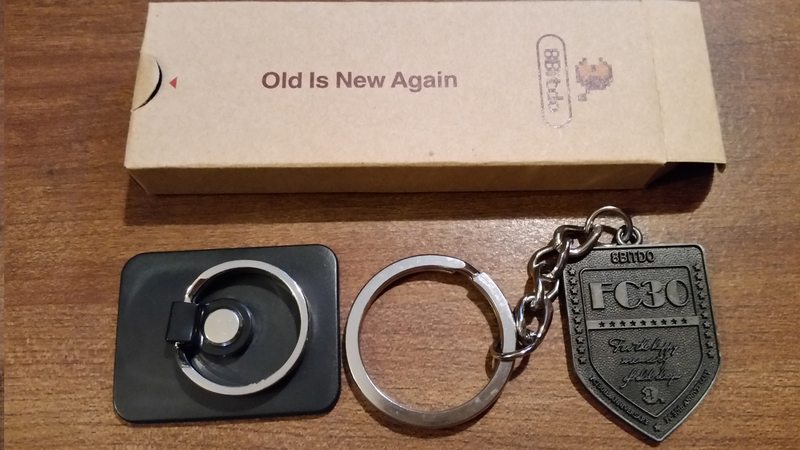 I did go back and use the original but it had joystick issues. Maybe it was a fluke, I don’t know. I’d recommend the NES30 Pro controller and the price seems to vary depending on where you buy it. I got mine on eBay through 8bitdo’s page. Is Super Mario Maker missing elements crucial to level design?